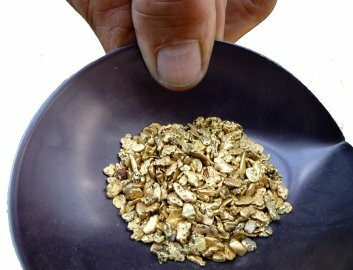 Quarter-ounce of gold nuggets: Michael Wong, Kenneth Vieu, Patrick Hanley, Dennis Scharosch. One pennyweight of gold nuggets: Bradley Hughes, Scott Gainey, John Otto, Steve Gottwald, Bill Frese, Gary J Zentner, Robert Eastman, Keith F McRobert, Robert F Carter, John R Smith, Jan Nelson, Bruce Greenan, Mark Cutler, Clifford Wiggins, Gerald R Fawcett, Nate Crawford, Les Martin, Gene Oliver, Tom Stull and John Laffey. Thank you to everyone who participated in this fundraiser. I was really getting worried, because there did not seem to be very much interest up until the last several days. Perhaps everyone was focused on the election. The girls in the office said the phone started ringing off the hook with supporters calling in contributions as soon as the election results were announced! We can count this fundraiser as a winner for everyone. Congratulations to all the winners. Those beautiful nuggets of gold are yours now. I hope you appreciate them as much as I did. I feel very fortunate that they have been invested into such a worthy cause. Any contributions received after the time of the drawing will automatically generate tickets for our next prize drawing, which will be for 25 Gold Eagles. Our next drawing will take place at our offices in Happy Camp on Friday afternoon, 8 March 2013. You do not need to be a member of our organization to participate. You do not need to be present to win. Our office will automatically generate a ticket in your name for every $10 legal contribution we receive ($100 would generate 10 tickets). There is no limit to the size or frequency of your contributions, or to the number of prizes you can win. USFS Opposes our Petition to the U.S. Supreme Court! 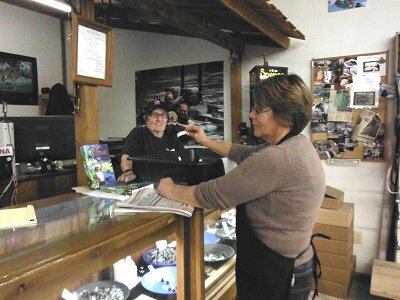 Several months ago, after years and years of litigation, the Ninth Circuit Court of Appeals sided with the Karuk Tribe. USFS declined to appeal that Decision. As the last remaining party in the case, The New 49’ers were the only organization that had standing to file a Petition to the Supreme Court. I talked more about the important ramifications of this case to America’s mining industry in our September newsletter, so I won’t repeat most of that here. 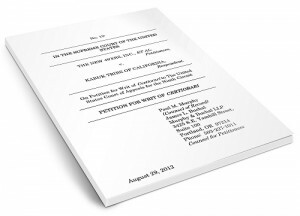 Our Petition for the U.S. Supreme Court to overturn the misguided Ninth Circuit Decision was filed on August 29, 2012. Our fundraisers (above) are an effort to keep up with these and other legal fees defending the rights of small-scale miners. After devoting nine years defending this case in federal court against anti-mining activists, the Justice Department (Obama Administration) declined to appeal the Ninth Circuit Decision to the Supreme Court. So we should not be surprised that they have just filed a brief in Opposition to our Petition; even if it is totally unbelievable that we are appealing the Decision that they lost! Here is our Reply. Now the Good News: Pacific Legal Foundation (PLF) has filed a brief supporting our Petition to the U.S. Supreme Court to overturn the recent Decision by the Ninth Circuit Court of Appeals which discourages prospecting on America’s public lands. The brief was filed on behalf of PLF, Waldo Mining Association (Waldo), and Eastern Oregon Mining Association (EOMA). Pacific Legal Foundation is another very influential, national property rights foundation which takes a lot of cases to the U.S. Supreme Court. PLF’s brief in support of our Petition argues how the Ninth Circuit Decision is already discouraging prospecting on the public lands as a direct contradiction to the will of Congress. PLF’s brief also points out that the erroneous Decision by the Ninth Circuit would basically place an overwhelming regulatory burden upon any and every private activity (not just in mining) in which the federal government has an oversight interest, even when the federal government determines that no regulation applies. We appreciate it very much that our brothers and sisters at EOMA and Waldo are supporting our efforts to get this terrible Ninth Circuit Decision overturned. PLF’s supporting brief, along with the supporting brief filed by Mountain States Legal Foundation on behalf of the Northwest Mining Association (see our October newsletter), increases the chances that the Supreme Court will accept our case. NWMA’s brief presents supporting arguments (to our Petition) why the Supreme Court must overturn the misguided Decision of the Ninth Circuit, or there will be dire consequences to America’s mining industry, and also nothing to prevent extremist environmental organizations from challenging private enterprise in any area where the federal government has an oversight interest – which is just about everywhere these days. As far as I know, we are the only organization solely representing small-scale miners that has taken a case all the way to the U.S. Supreme Court, at least since I have been involved with mining. The final result of this case will have very important consequences upon America for the foreseeable future. All of you who support our efforts should feel some pride that we are standing up to do the right thing for the future of our country. We should also be gratified that the bigger players, Pacific Legal Foundation and Mountain States Legal Foundation, have joined in our cause. Special Edition of “Extreme Prospector” is now Available! At long last, my new 512-page book “Extreme Prospector” has been printed! I have devoted a full year of my creative energy into this project! The book includes my very best adventures, all rewritten to include plenty of detail and some of my best-kept secrets, including several adventures during my time in the U.S. Navy SEAL Team. 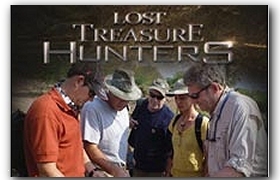 As far as I know, this is the first and only adventure book ever written which brings to light the incredible excitement of discovering high-grade gold deposits – for real. I am pleased to say that initial reviews of the book are quite good! I started working hard on this book as soon as Discovery Network confirmed that several of my prospecting buddies and I were going to cast in a reality show (coming soon). 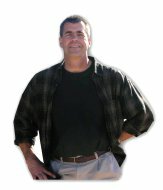 I view the expanded exposure as an opportunity to raise interest in small-scale prospecting, and to raise awareness that it is big government in concert with widespread financial shenanigans that are suffocating all the life out of the American Dream. I only signed 500 hard cover Special Editions. As a special promotion, we are making these Special Editions available at the very same price of the soft cover version ($19.95). We will be delivering the book during the third week of November. The girls in our office have been taking phone orders since we put out the October newsletter. The first 200 have already been committed. The last remaining 300 Special Editions are now available on a first come, first served, basis. 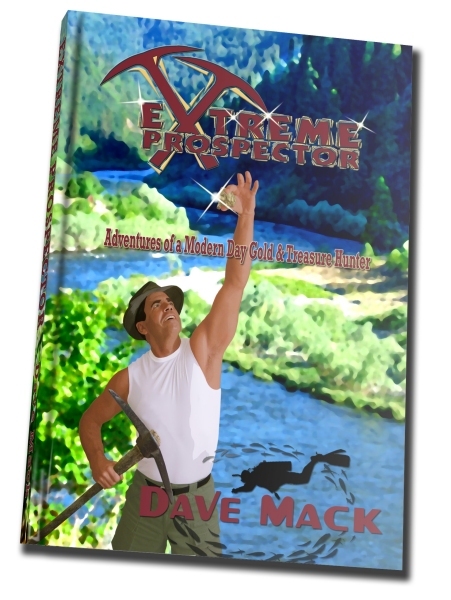 “Extreme Prospector,” is also available as an ebook from Amazon for half the conventional book price ($9.95). As an Internet download, most of the images come through in color (about 250 of them) and the hyperlinks work. You can find the ebook, along with normal soft and hard cover versions of the book, right here. Since I mentioned the Animal Planet reality show above, I should also let you know that they have now placed a 5-minute video promotion on line. Check it out; it will give you some idea how the show is going to play out! Since this is a New 49’er newsletter, with a very rare exception, I try and keep the news on track with the things that are happening with our organization, and with the larger issues which directly affect us. We also try and keep our Internet Forum on mostly mining-related subjects, though we do allow a little more leeway there. But with the launch of Extreme Prospector, I have started up a blog which broadens the context to ongoing adventures and other important news and issues that we are all facing today. These include discussion and links to informative information about the economic realities of our time. Important stuff! Just as an example, An American friend of mine and I took a drive down to Bataan about a week ago. That is Bataan, as in the “Bataan Death March,” which began on 12 April, 1942. My understanding of the history is that we were not able to hold off the invasion because there was no replenishment of supplies and reinforcements. This was because the Japanese took out our Pacific fleet in Hawaii on the same day they invaded the Philippines. After months of fighting against overwhelming odds, 76,000 American and Filipino soldiers finally surrendered to the Japanese army on the 9th of April, 1942. Yes; I got that number right! While the story is heartbreaking, we should also be inspired and reminded that no matter how bad things can get, there always remains hope that we can come back and win the day. While we are going through difficult times in America today, we have come back from much worse situations. It’s not over until it is over! If you are interested in these types of affairs, along with news about extreme prospecting adventures (not just mine), I invite you to visit my Facebook page at facebook/DaveMackExtreme and follow me on Twitter @DaveMackExtreme. There is a “Free eBook” tab on my Facebook page where you can download Chapter 10 of Extreme Prospector.